Assured Fire and Security brought in Annurca to improve the health and wellbeing of their employees in order to make them a happier, healthier and more productive workforce. Assured Fire and Security are a fire safety and home security company based in Dinnington. The company works nationwide and currently has 40+ employees. All employees, able to; obtain a greater insight into their own health, identify and reduce potential risk factors and change their behaviour appropriately with the help of expert guidance. 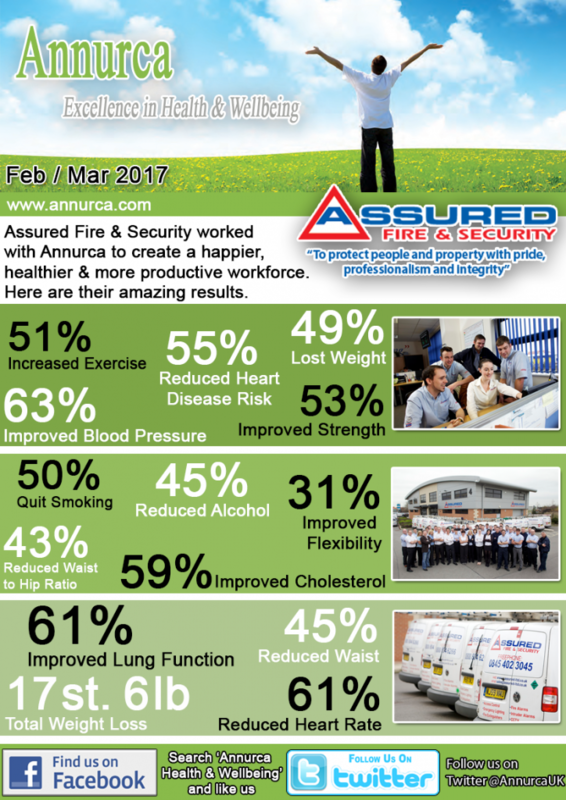 Its fair to say the relationship between Assured Fire and Security and Annurca has been a successful and prosperous one.